More and more people are discovering that real estate investing is a safe and affordable way to increase their cash flow and build lasting wealth. If you want to achieve financial freedom, then look no further. 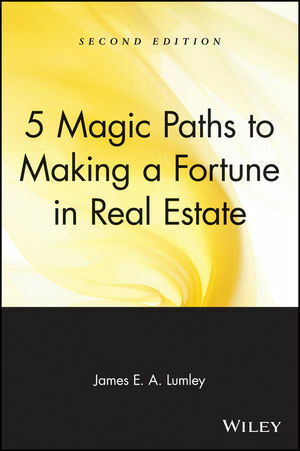 5 Magic Paths to Making a Fortune in Real Estate reveals the proven real estate investment strategies that many of today's millionaires used to make their fortunes. In fact, you don't even need a lot of money to start investing and start putting cash in your pocket today! JAMES E. A. LUMLEY is a real estate broker with more than thirty-five years of experience as a real estate salesperson, consultant, and educator. He is also the author of How to Get a Mortgage in 24 Hours and Challenge Your Taxes, both from Wiley.